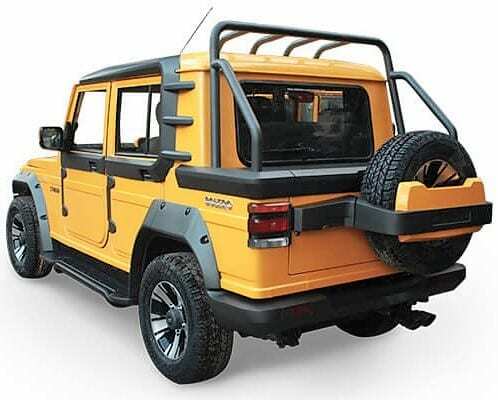 Mahindra Bolero Stinger 3 is the latest creation by the Mahindra Customisation Studio. Mahindra have been providing factory based customising solution for the their cars to the people. 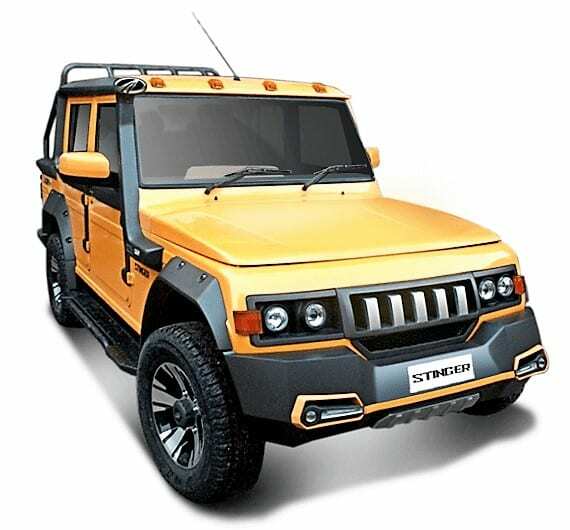 And Bolero's latest customisation is nothing less than a modern class car. 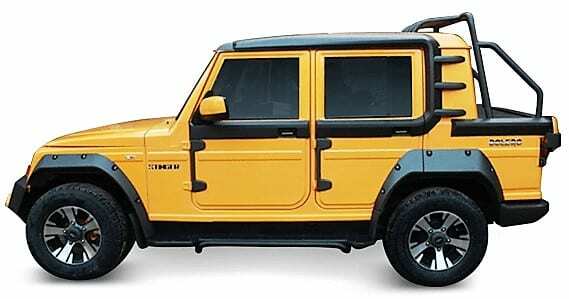 Mahindra Bolero Stinger 3 comes with yellow paint finish with metallic chrome having pearl finish. The last row of the car have been converted into an open deck. There is a tire section on rear of the car. You can see the car got the wheel arches and off road tire with alloy wheels. Now it has custom grille with dual halogen lamp as headlight and bumpers with integrated indicators. Interiors got the black finish with the yellow strips in contrast to interior as well as exteriors. If you are interested in this car then you can contact your nearest Mahindra Dealers for the price.